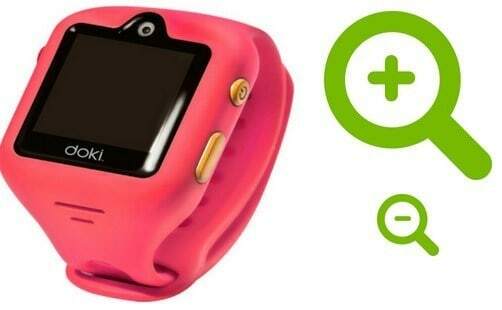 Doki watch is a GPS smartwatch powered by Doki technologies custom-made for kids between the ages of 6-12 years. The company launched the Doki watch which is capable of handling voice and video calls, messaging, fitness and location tracking. We have intensively researched on this particular watch and compiled for you its features, its price, and entirely every detail concerned with the Doki watch. Doki watch comes along with plenty of advantages mainly because it enables parents to schedule their child’s activities such as bedtime, and classes. As of right now, Doki smartwatch is regarded as the world’s most advanced kid’s smartwatch. 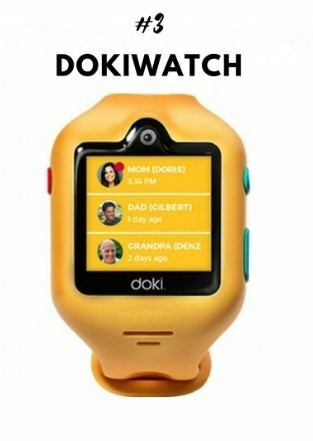 Previous versions of the Doki smartwatch only allowed parents to initiate video calls. However, the improved version now allows even kids to do so. In addition, the freely available photo gallery allows your kid to save their photos and selfies. In order to enhance communication, parents have to connect the watch to the Doki app. This will help them track the kid’s location, and receive notifications on their whereabouts. Doki watch for kids has been the leading 3G capable smartwatch for kids. This has been enabled by its outstanding features and specs making it one of the best in the kid’s wearable section. We are going to outline various features of the Doki smartwatch and why it is one of the best smartwatch for kids. Warranty and tech support. Doki watches have an excellent warranty and a technical support service which parents can freely access in its website. Voice and video call. This smartwatch is actually a phone which means that you can get into contact with your kid via voice and video calling. Text Messages. You can as well send and receive text messages through the Doki watch app. Safety features. If you want to buy Doki watch, note that it has safety features for kids such as a smart locator, which includes technologies such as GSM, WI-FI and GPS. Geofencing. It also has an alert area which is a perimeter fence which alerts you once the kid wanders off the designated area. SOS alerts. 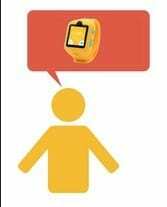 The smartwatch allows the child to send SOS messages to predefined contacts bearing the location of the kid. Activity tracker. The Doki watch features a fitness tracking which is capable of tracking your steps and other physical activities. Electronic pet. 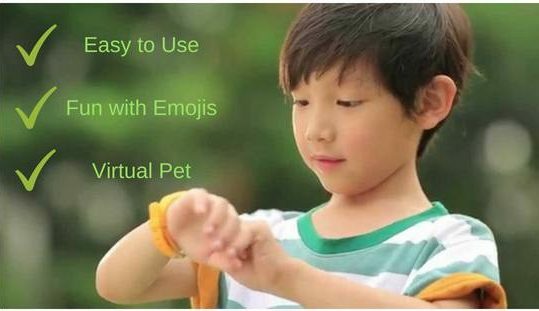 There is a virtual pet that lives inside the watch, so your kid can take care of it. Multiple tracking. If you are a parent of many, you can track all your kids Doki watcher through the Doki app. Doki App. Through the Doki App, parents can communicate with their kids, by choosing one of the many communication options, whether it is a voice, video call or text message. Parents can also see the exact location of their kid. Class Mode. You can set your kids DokiWatch in class mode, to keep him focused on the main activities that need to be accomplished. The SOS mode will remain activated, to ensure that your kid is safe at all times. DokiWatch includes a first ever integrated video calling on kid’s smartwatches. You can check on your kid’s well being simply through a call. The smartwatch also allows you to insert a Doki watch sim card which enables 3G coverage. Kids can now call on the DokiWatch to the contacts pre-set by their parents. This Alexa smart watch also enables parents and kids to send voice messages which are not more than 30 seconds long. Kids can also send voice messages to other people such as their friends and relatives too!Finally, on multiple communication options, the smartwatch allows text messages to and from and goes far and beyond to include emoji’s in its communication service provision. Your kid can have fun by changing the wallpaper on the phone and customize it according to his mood. It is very easy, just swipe the different backgrounds and choose whichever you like the most. If your kid has friends that own DokiWatch, they can easily become friends on Doki too. Just send a friend request and within a few seconds they will become Doki friends, send texts and call each other. This is one of the upgraded features of the DokiWatch, your kid can organize the photos into albums and even use some of the photos as a wallpaper. By using this feature, your kid can learn how to be more responsible with all the activities and tasks that need to be completed during the day. That way, they will feel accomplished and at the same time, learn about the importance of the responsibilities. You can never lose sight of your child with a DokiWatch. Your child can access help by simply pressing on the red SOS button for a minimum of 3 seconds. This sends an emergency notification to all pre-set contacts, records your child’s voice for 60 seconds and sends an update of your child’s current location. With the help of the Doki app, parents can set alert areas around specific location. These virtual fences can be areas such as school, home, or even a friend’s house. You will get a notification whenever your child leaves the location. This allows you to deactivate the device when the child is sleeping or even studying. You can also pre-set your kid’s contact list by adding family members. By pairing their devices through Bluetooth, kids can also add their friends to their contact list and later confirmed by parents. DokiWatch is 3G enabled smartwatch. All you need is get a sim card from your mobile operator which is data and voice enabled. DokiWatch is compatible with GSM and WCDMA networks which allows worldwide communication. Starting the watch is easy. Charging point is very okay. Call and messaging are working great. Adding contacts from the Doki app is quite easy. Kids can have fun by texting emojis. The device looks somehow faulty with microphone at times. Doki support team taking quite a while to respond. Slight lag in video call and not the best interface. Its location accuracy is not phone GPS precise, but it shows you where your kid is. Batery Life. The battery of the DokiWatch can last up to 24 hours, if used for calling and texting. Weight. It weights 60 grams and because of that it fits comfortably on every child wrist. Operating system. DokiWatch is compatible with Android. Screen. DokiWatch features 1.22 inch TFT Color Touch Screen and its very easy to use, you can swipe left and right until you get to your desired setting. Memory. It operates with 4GB storage memory plus 512 MB Ram memory. Sim card. DokiWatch can be used with Nano Sim Card. Camera. DokiWatch features 2 megapixel camera, resolution sufficient for making video calls and taking photos with friends. “In giving my Doki watch review, I would start by saying that it’s a great watch. It does what it says it will do and is quite the novelty once we got it set up. However, I am not so happy with the charging mechanism. It is made poorly and you have to be very careful with it. As a parent, you cannot always keep track of your kid. Also, finding a good GPS tracker can be quite challenging. The multi functional Doki watch will enable you accurate tracking of your kid using its GPS. 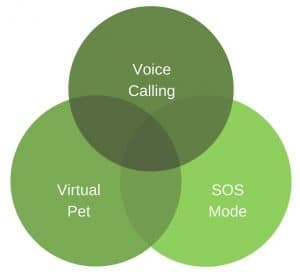 The integrated video and voice calling is keeping you connected with your children whenever they need to get in touch with you. Whenever you kid does not feel like talking, he can send you a text message, take a photo or just send an emoji. The multi communication feature allows you to stay connected via video, audio or text. Also, the price of the watch is very fair and reasonable bearing in mind that it has been hailed as one of the best smartwatch for kids. Compared to other competitors, this watch has a very high competitive edge. Two-way video calling, Voice Calling, VOIP, Voice Messages, Text Messages, Emojis, Activity Tracker, Smart Locator, Alert Area, SOS Mode, Contact list, Class Mode, Scheduler, Add Friends Feature, Photo Gallery, Virtual Pet, Customized Wallpaper and the Easy Setup, are the features that you will get in love with and cannot imagine your life without them, once you start using the DokiWatch. The Doki watch will allow your kid to explore the world of technology, whilst stay connected with you at any time of the day. It makes it very easy for modern families to stay connected.